Late last year, the company admitted it was using software updates to slow down phones to prevent them from turning off suddenly. The company said its software updates for the iPhone 6, iPhone 6S, iPhone SE and iPhone 7 aimed to “smooth out” peak power demands, avoid unexpected shutdowns and extend the lifespan of batteries. To address that outcry, Apple has already offered a number of changes, including much cheaper and easier battery replacements to get phones back to their old performance. And now it has said it will allow people to switch the feature off entirely. The change will come as part of an iOS 11.3 software update, which will be released in the spring for consumers and was released Wednesday as a test for developers. 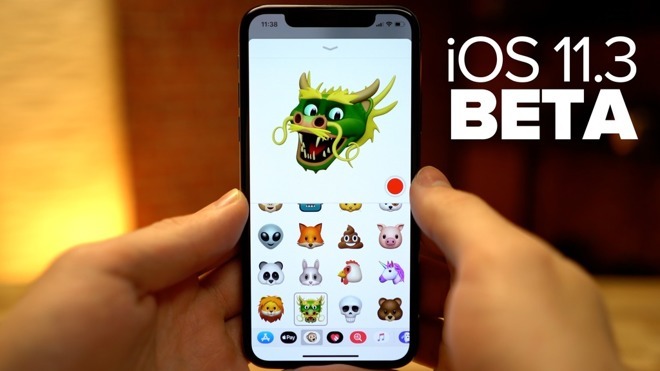 The software update will also let iPhone users access their hospital health records, adds new animated emojis for the iPhone X, and new video features for the Apple Music service and the news-reading app. It will also allow people to see the health of the battery and see whether they need their battery servicing. Those options will be found in the Settings app, under the Battery option. The iOS 11.3 update rolls out in beta to developers starting Wednesday and will be available to consumers in the spring.